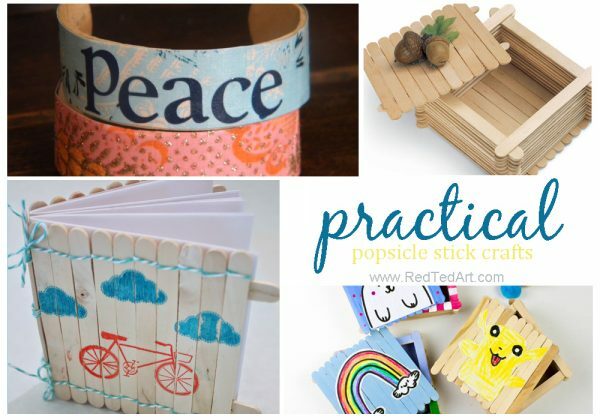 Well, the Craft Stick Crafts says it all – call them Lollipop Sticks or Coffee Stirrers or Tongue depressors or Popsicle sticks.. or simply CRAFT STICKS… what ever “they” are, “they” are great fun to craft with. 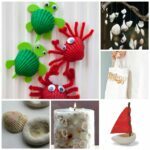 We decided that the childhood classic Craft Sticks would make a great themed collection of crafts for you to take a peak at and find inspiration. 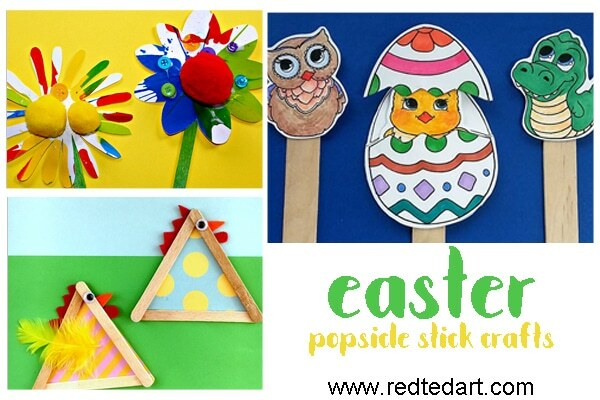 I don’t know about you, but we seem to have 100s of craft sticks flying around our house – both shop bought and salvaged from our ice lollies in summer. 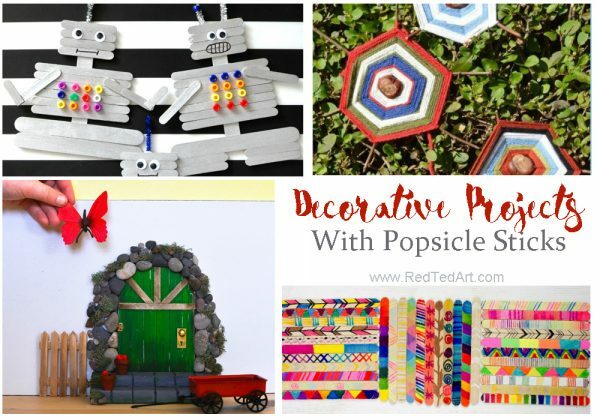 I have pulled together craft stick crafts under certain themes for easy browsing… and we also have a “craft stick hangout” from days gone by for you to browse! ENJOY!!! You may also enjoy our Pipecleaner Craft Ideas – another childhood classic craft material! 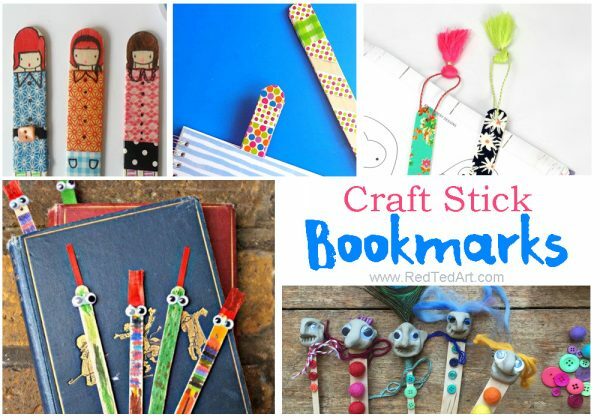 Easy and cute craft stick book mark characters. My son ADORED making these and created a whole set! “No sew” Fabric Bookmarks – so pretty! 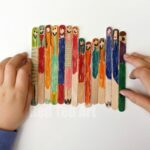 Super cute Craft Stick and Washi Tape Dolls (so want to make some). 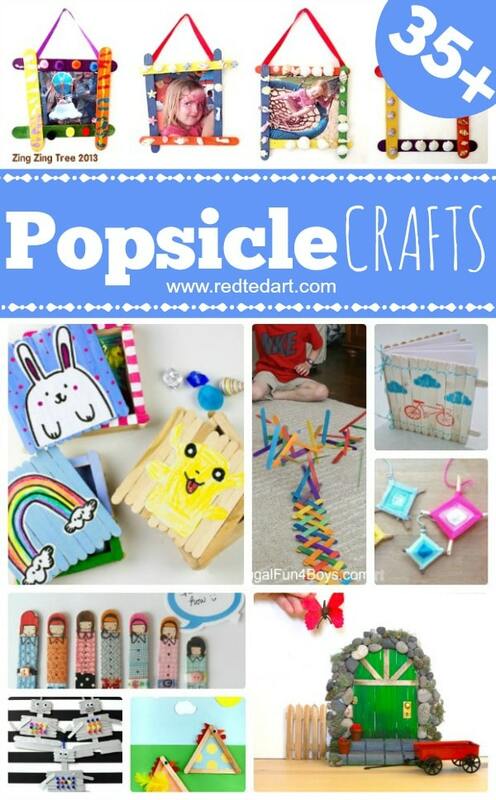 Cutest Popscicle Boxes – love the different designs! You simply HAVE to check out this Craft Stick Notebook – it is BRILLIANT. Craft Stick Bracelets – very cool, but I have heard tricky to make! It is all about getting the RIGHT craft stick size..
A cute Craft Stick Christmas Tree. 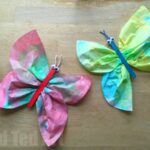 Gorgeous Tissue Paper Stars – these are so lovely! We Also love using craft sticks to make small weaving crafts like these. 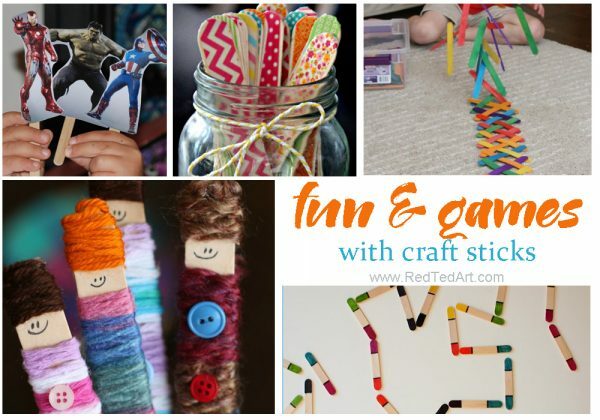 Craft Stick Games and Fun with Craft Sticks!! 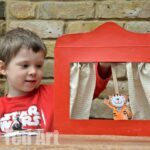 “Classic Craft Stick Puppets” – soooo easy really – quite ridiculous and the kids love them! Go figure. We also used craft sticks to make our Chinese Dragon Puppets as well as shadow puppets! 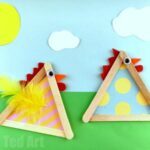 Love these Craft Stick Puzzles – use a photo or draw a picture! We have these adorable craft stick dominoes – so easy to make and look fabulous! Frugal Fun For Boys has this GREAT Craft Stick Chain Reaction – think Dominoes, but BETTER. PLEASE take a look. Great fun. 1) Using Craft Sticks or coffee stirrers to make Cookie Pops. Cookie Pops simply TATEST better. It is a fact. I have asked my kids and they have confirmed it. So Cookie Pops it is. These traffic light cookie pops feature in Red Ted Art the book. I highly recommend the cookies and of course the book! 2) Next we share our super simple, keep the kids busy whilst you cook, craft stick book mark characters. 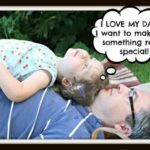 They make great Father’s Day Gifts or Teacher Appreciation Gifts too! 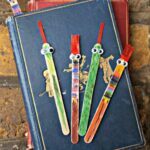 3) “Classic Craft Stick Puppets” – soooo easy really – quite ridiculous and the kids love them! Go figure. We also used craft sticks to make our Chinese Dragon Puppets as well as shadow puppets! 4) We also used craft sticks to make our Spiderwebs in Class – a bit more sturdy and there for ideal for lots of 4-5yrs olds. 6) Me and My Shadow made some adorable little boats – remember to add some string so you don’t loose them. 7) Domestic Goddesque made some simple plant markers – use pictures form a magazine or the seed packets themselves (no links available, watch the video!). 8) Domestic Goddesque also shares her Teacher Appreciation Gift Rosettes – that she will be adding to a pot plant as a thank you. 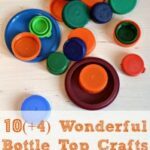 Love the use of cupcake cases to make them. 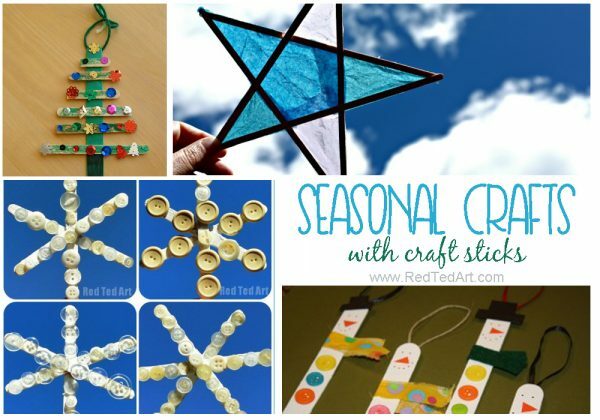 10) Plus 2.4. has some super simple and cute Craft Stick Snowflakes. Definitely another lovely craft for Christmas (in fact, that reminds me that we did some with BUTTONS last year too. You really can’t beat buttons!). 11) Finally we have some planes from Kids Chaos. They look super fun – love the lego wheels versus cork wheels! 12) Craftulate had technical difficulties again, so couldn’t join us, but she has some great Craft Stick Magnets which are DEFINITELY worth a look. 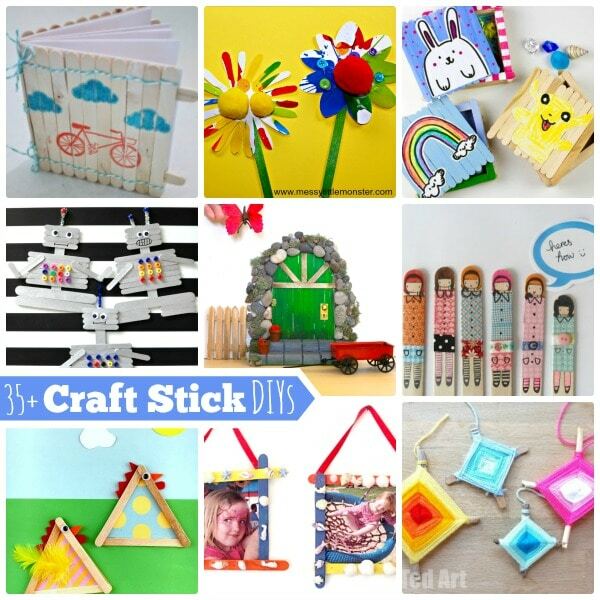 I hope you enjoyed our EXTENSIVE selection of Craft Stick Crafts. WOW! So many fabulous ideas to get started with.. the only question will be…? Which Popscicle craft to do first!!! an amazing array of fab stick crafts Maggy, brilliant! So many great ideas : ) so little time!